October 6, 2016—SDORC is again sharing our recommendations for this year’s general election on November 8. 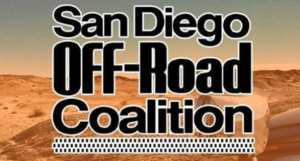 We each have many issues of importance to us, but SDORC’s recommendations are based solely upon our best estimate of a candidate’s support of issues of importance to off-road recreation. It is critical that you register and vote. When John Kennedy, one our more popular presidents, won in 1960 it was by a very slim margin that averaged only about one vote per precinct. If you are not currently registered to vote, you need to register no later than October 24, 2016. You also need to re-register to vote when you move to a new permanent residence, change your name or change your political party choice. To register click here. Your vote counts so please vote on November 8!